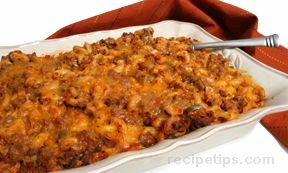 Homemade hamburger helper and just about as easy. It's simple and delicious. 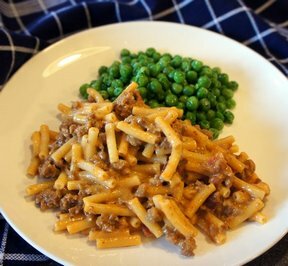 Serve it with a green vegetable...peas are a favorite with cheesy macaroni. In a skillet, brown meat; drain. Stir in water, tomato sauce, onion powder and cheese cubes. Stir until cheese is melted. 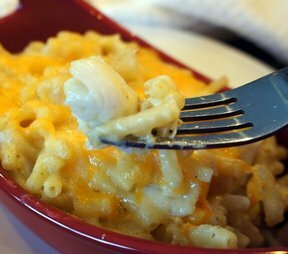 Stir in cooked macaroni and serve. 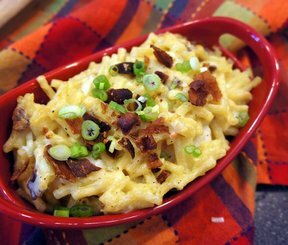 "Super easy to make. Kids loved it. I added 4 slices of crispy bacon at the end to give it the "bacon" cheeseburger feel."